The Sanger team looked at the spread of melanoma skin cancer cells to the lungs of mice that were engineered to be missing single genes. This identified 23 genes that were involved in regulating the spread of melanoma cells, 19 of which hadn’t previously been shown to have a role in this process. Tumours can "seed" themselves elsewhere in the body and this process is behind 90% of cancer deaths. The mouse study, published in Nature, showed altering the immune system slowed the spread of skin cancers to the lungs. 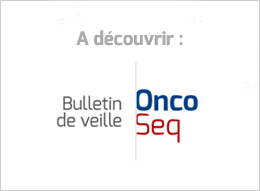 New Study to Evaluate Combination of LARTRUVO™ (olaratumab) and KEYTRUDA® (pembrolizumab). The FDA accepted the supplemental application and agreed to give the application a speedy review, offering a decision by May 10. And given the agency’s go-go record on rushing ahead on promising I/O therapies, Merck may be on the verge of making an even earlier breakthrough with its first combo approach. Two of the research programs in the clinic aim to inhibit pathways that repair DNA, specifically ones that help certain types of cancer survive and proliferate, Vertex said. The compounds are being studied across various Phase 1 and Phase 2 trials, with one known as VX-970 being the furthest along. The German company is spending $230 million upfront to license rights to two clinical-stage and two preclinical programs from the Boston biotech, convinced that they’re starting down pathways on DNA repair and immuno-oncology that will lead them to a new product or two. Collaboration to Develop a Novel Biologics Platform with the Potential to Improve the Therapeutic Utility of T-cell Redirection Therapy for the Treatment of Cancer. Two days after announcing a $5.2 billion deal to acquire Ariad, the global Japanese pharma company is back with the latest in a string of smaller pacts, investing $125 million in Maverick Therapeutics and picking up an option to buy the biotech and its T cell engagement platform. While Gonzalez was making his presentation the pricing debate heated up considerably, as U.S. President-elect Donald Trump attacked the pharmaceutical industry during a news conference. MDT meetings should facilitate meaningful multidisciplinary input into patient care, but these findings show that in reality this does not happen. Increasing Patient Access to Quality Care, Avoiding Insurance Coverage Gaps, and Screening and Prevention Services Listed as Keys to Fostering the Best Possible Cancer Care. Wednesday’s remarks are the latest in a series of drug-related statements by Trump that have kept pharma guessing. They follow more than a year of intense scrutiny and countless headlines about drugmakers’ frequent, sometimes extreme, price hikes. Rather than arbitrarily or punitively forcing drug companies to lower prices — or doing away with competition as we know it — Trump and his advisers would be wise to look at what’s wrong with the underlying system: Why is it so expensive to create a new drug? Donald Trump doesn’t care much for details. The message here is simple and clear: Donald Trump is going to be a populist president. Pharmaceutical companies are a popular villain. That’s it. During the election Hillary Clinton took the lead in attacking pharma and drug prices, leaving many in the industry hopeful that Trump would be friendlier to biopharma. Trump, though, stuck with a populist theme during the press conference, painting the industry as the villain in this drama. CiteScore, in other words, will make other publications look more and more like Elsevier’s. This is what metrics do: they normalize. And since Elsevier is the dominant player in this market, Elsevier will reap the principal benefit of this realignment. “We are trying to change the way research is done on a daily basis in biology,” said Jasmin Fisher, a biologist by training who works in the programming principles and tools group in Microsoft’s Cambridge, U.K., lab. Inspiring as it is, Alan’s story illustrates the tragedy of a communication crisis now plaguing oncology. Although ClinicalTrials.gov is supposed to help patients find appropriate treatment trials to join, it delivers information in a way that is difficult for a layperson to interpret.